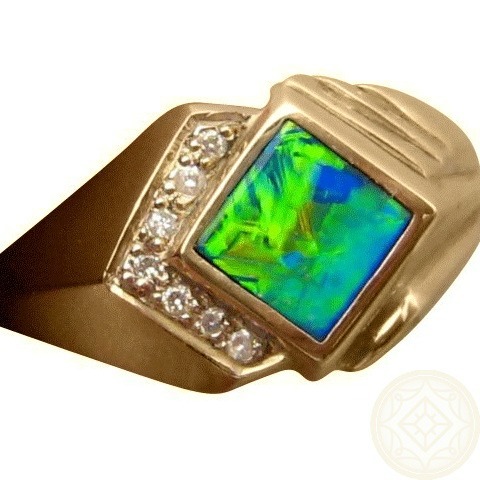 Mens Opal Gold ring in 14k with a colorful square cut Opal accented with Diamonds on one side. In stock and ready to ship. 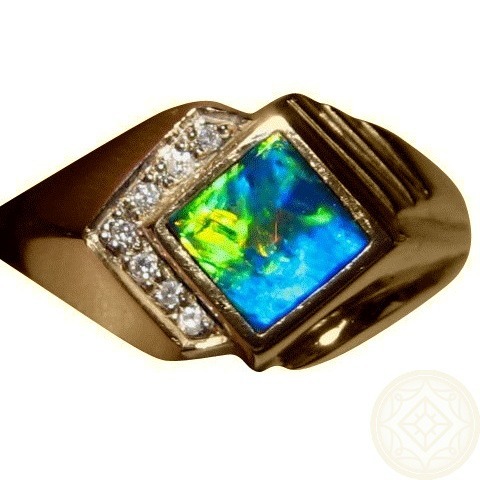 An extremely bright Opal ring for men. 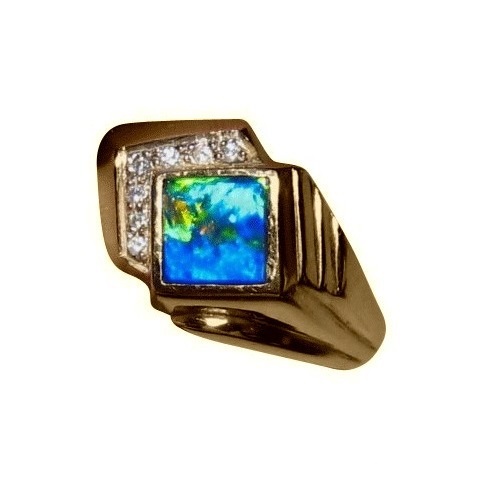 A 14k Yellow Gold ring is inlaid with one square cut Opal set at an angle and is accented with round brilliant Diamonds on two sides of the square. 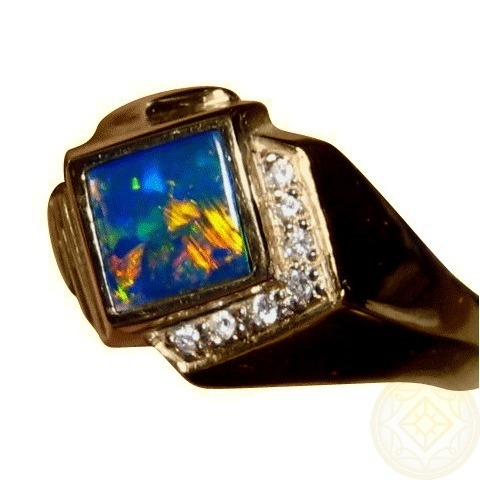 The Opal weighs 1.2 carats and flashes a mix of colors in a fantastic Harlquin pattern and the video will show the play of color with movement as well as the high shine of Gold. This quality Opal ring is ready to ship as detailed below but as the Opal is not yet secured, it can be made in any other ring size up to a 10 and in any other Gold color at no additional charge. Allow about 10-14 days for the ring to be made with any changes before this exact Opal is set and the ring is shipped to you.